Computer games, now a significant economic sector and subject to both academic and industry research and development, continue to grow in popularity at a substantial rate. Multiplayer networked games, which enable hundreds of thousands of players to simultaneously interact with each other, are now widely used not only just for entertainment, but also for socializing, business, commerce, scientific experimentation, and many other practical purposes. Literally millions of people spend their time and money in game worlds such as World of Warcraft, which now hosts more than 10 million subscribers  with a peak of 500,000 players online at a given time, or Entropia Universe, which holds the number 1 and number 2 record for the most expensive “virtual” real estate player-to-player sale, each over US$300,000 per virtual property. Recently, Entropia Universe’s Planet Calypso, a large virtual real estate with more than 950,000 registered accounts from 200 countries and with US$428 million player-to-player transactions in 2010, has been bought for US$6 million by SEE Virtual World . A detailed analysis by In-Stat indicates that the revenue generated from sales of virtual goods has increased 245 %: from US$2.1 billion in 2007 to US$7.3 billion in 2010, and that such revenues will rise to US$14 billion by 2014 . These are in addition to the player’s gaming purchases and subscription fees, which the NPD Group reports to be US$3.3 billion just in the fourth quarter of 2011 and only taking into account the US, UK, France, and Germany’s non-physical retail sales . In China, another large and rapidly growing market, online games generated revenue of 11.27 billion Yuan (US$1.77 billion) in the first quarter of 2012 alone . As these online games become more popular and significant contributors to Internet traffic, research needs to be devoted to manage and support the emerging massiveness, its traffic on the network, and the users’ quality of experience. In this special issue, we focus on online games and cover scientific, engineering, and research topics in terms of systems and networking support to enable such games. We start off the special issue by two review articles. First is “From 101 to nnn: A Review and a Classification of Computer Game Architectures”, which presents the Game World Graph (GWG) framework to analyze and classify computer game architectures. GWG can cover all games ranging from single player to massively multiplayer games and allows researchers to reflect on current and future architectural strategies as well as techniques that transcend specific designs, such as anti-cheat strategies. This is followed by “Player Behavior and Traffic Characterization for MMORPGs: A Survey”, which presents current research efforts in measuring, characterizing, and modeling Massively Multiplayer Online Role Playing Games (MMORPG) from two aspects of application level behavior and network traffic, focusing on the relationship between those two aspects and providing measurements of network traffic and player behavior with key information regarding various datasets. Next come two articles on gaming traffic. “The Ex-Gaussian Distribution as a Model of First Person Shooter Game Traffic” proves that the skewed mixture Ex-Gaussian distribution is suitable for modeling packet payload lengths for two-player games of seven popular First Person Shooter (FPS) games in the server-to-client direction, and also presents a computationally simple technique to synthesize FPS game server-to-client packet payload length distributions for N players, which can be used for building realistic traffic models for FPS game traffic simulation. “A Model and Software Architecture for MMORPG Traffic Generation Based on Player Behavior” presents traffic generation that takes into account the fact that the gaming style in MMORPG is quite different from that of FPS. In fact, role player gamers interact in rather different ways with other players and with the virtual environment based on the changing situations. MMORPGs are therefore also generating different kinds of traffic over time, and the authors show that these changes are quite drastic. They design a traffic generator that can create this kind of traffic based on own and existing work, which is presented in this paper. These are followed by another two articles in network support for games. First is “Interest Modeling in Games: The Case of Dead Reckoning”, which presents ‘AntReckoning’—a new dead reckoning algorithm inspired by ant colonies. AntReckoning models the players’ in-game interests to predict their movements, incorporating a player’s interest in specific locations, objects, and avatars in the equations of motion in the form of attraction forces. In practice, these points of interest generate pheromones, which spread and fade in the game world, generating sources of attraction. AntReckoning results in improved accuracy and lower bandwidth requirements compared to traditional dead reckoning. Next is “Timelines: Simplifying the Programming of Lag Compensation for the Next Generation of Networked Games” which tackles the difficulties of expressing lag compensation algorithms and proposes a programming model that is able to dramatically reduce the time and effort required to implement lag compensation techniques by allowing for the explicit treatment of time, with an implementation showcased in the Janus toolkit. 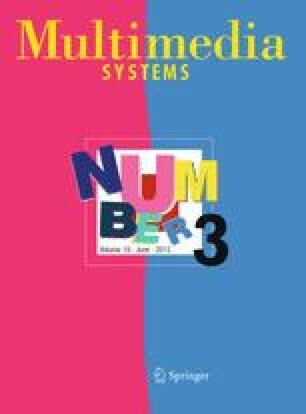 Finally, the special issue is wrapped up by two articles addressing specific game designs: First is exergaming in “Exertion Interfaces for Computer Videogames Using Smartphones as Input Controllers” which presents research around using smartphones as input controllers in the context of exertion videogames. The authors identify core elements of interfaces that detect movement, actions and intentions to enrich human–computer interaction in a natural way, regardless of the underlying technological platforms. They go on to provide a design pattern for the integration of such interfaces into existing videogames without having to change the game’s source code. A proof of concept implementation is presented using two smartphone input controllers. Finally, a design for secure gaming is proposed in “Match + Guardian: A Secure Peer-to-Peer Trading Card Game Protocol”, which presents the Match + Guardian (M + G) system that enables gamers to play card trading securely with minimal involvement of a server. M + G avoids the potential delays involved in playing through a central server, and deals with the inevitable problem of cheating that arises in P2P trading systems by means of a new protocol, which prevents cheating or allows to prove cheating in retrospect.